We've been proudly supporting the local community for more than 50 years. Most of the 80 volunteers at our branch on St Helen's Street in Ipswich are listening volunteers, who provide emotional support by phone, email, text, and by receiving branch visitors. It doesn't stop at the branch, we also support people at local probation hostels, soup kitchens and prisons, and at major events like Suffolk Pride, Ipswich Music Day and Felixstowe Carnival. Our Support Volunteers do vital work that contributes to running our branch, including fundraising, administration, raising awareness and working at our shop on Carr Street, Ipswich. Our relationship with Ipswich Town Football Club. Ipswich and East Suffolk Samaritans is a registered charity (1168725). 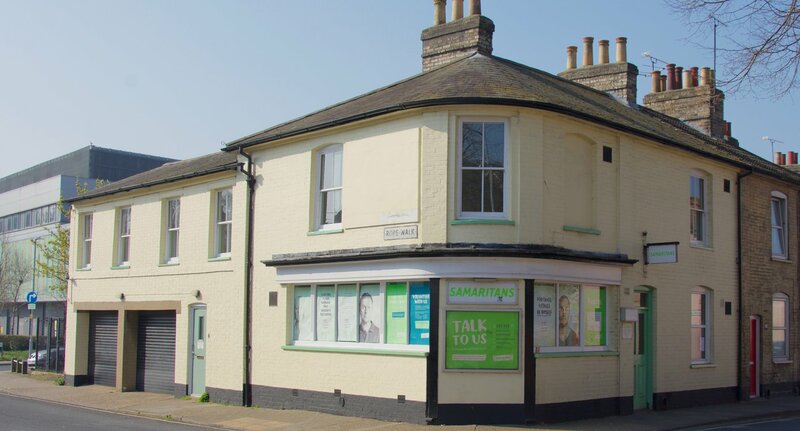 Ipswich and East Suffolk Samaritans is a recognised branch of Samaritans.